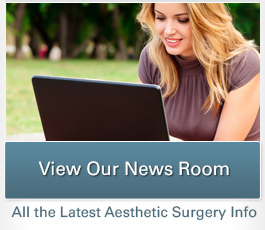 Many women seek breast augmentation to enhance the size of their breasts. During the initial consultation, patients discuss how “big” they would like to go, and visual aids, computer imaging, and clear discussions between patient and doctor are good habits to help communicate expectations in terms of breast implant size and breast implant styles. There is a variety of ways to determine the ideal implant for you. Dr. Christine Petti, our board certified plastic surgeon, takes pride in spending time with the patient at the time of the initial breast implant consultation and during surgery to get it right in terms of breast shape, size, and patient expectations, helping to achieve a great outcome. Patients can later on, for many different reasons, decide they want a change in breast implant size. They may have had children, lost weight, or have more sag of the breasts with loss of the breast fullness and shape. This can lead to distortion of the breasts that were once perky and full. Women need to know there is hope, and breasts can be remodeled to fit their current desires and lifestyle. The good news is that you do not have to resign yourself to an outcome that is less (or more) than you want it to be. Breast revision surgery can help you achieve the results you want. Dr. Petti will discuss your aesthetic concerns and offer guidance as to the special implant size and/or style for your expressed goals. Dr. Petti is skilled in the latest surgical techniques, and she can remove breast implants and re-contour the breasts to achieve the most aesthetically appealing and natural looking results possible. She offers a comprehensive range of implants, and the current/new options for you may be a different implant style (gummy bear silicone) or contour (round or shaped) than you have now. These factors can significantly alter the perceived breast size, shape, and cosmetic outcome. You undertook an exciting journey to enhance your appearance with your initial breast augmentation, and you should love your results. If a different size breast implant can make your aesthetic dreams a reality, we want to help you realize that goal. For more information about breast implant exchange and breast revision surgery, please contact our office today. 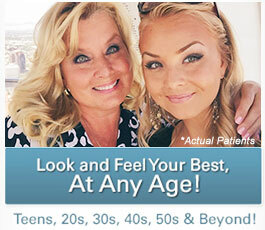 We can answer your questions or help you schedule a consultation with Dr. Petti.